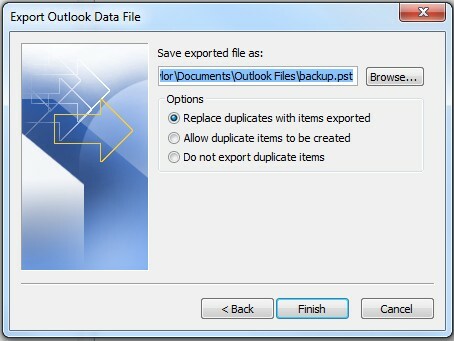 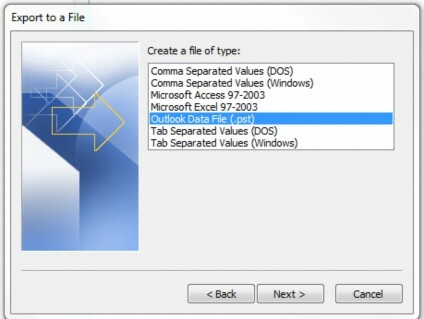 Go to Next, select Outlook Data File (.PST) and go to Next. 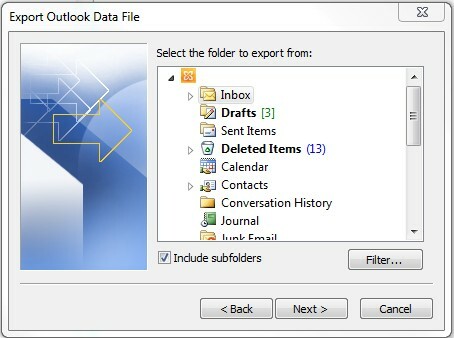 Select which part of the mailbox you would like to export, if you would like to export the entire mailbox select your email address from the top of the list. 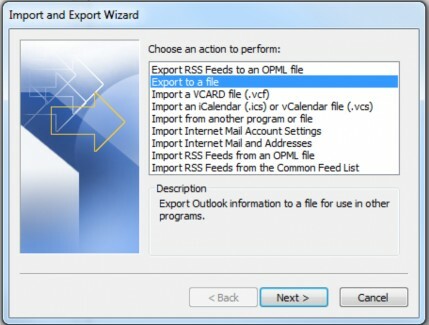 Go to Next and then go to Browse and select the location you would like to export. 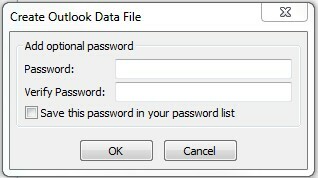 Go to Finish where you will be given the option to set a password to secure the PST, enter a password if you wish to do so and click OK, there will then be a short delay while the data is exported.